‘Why are you only staring at the moon? You should be jumping up to it! Don’t sleep, the party’s just beginning!’ (Click here to listen to the usagi [rabbit] song). More about the song here. The earliest known examples of a three-hare motif first appeared in Buddhist cave temples in China (581-618 CE), from there spreading all along the Silk Road, through the Middle East, through Hungary and Poland to Germany, Switzerland, and the British Isles. 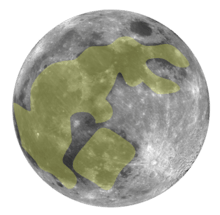 The Moon rabbit in folklore is a rabbit that lives on the moon, based on pareidolia that identifies the markings of the moon as a rabbit. The story exists in many cultures, particularly in Aztec mythology and East Asian folklore, where it is seen pounding in a mortar and pestle. In Chinese folklore, it is often portrayed as a companion of the moon goddess Chang’e, constantly pounding the elixir of life for her; but in Japanese and Korean versions, it is just pounding the ingredients for rice cake. * In Thai folk belief, the dark spots on the moon, the lunar maria, form either a rabbit shape or the shape of a man and a woman pounding rice. 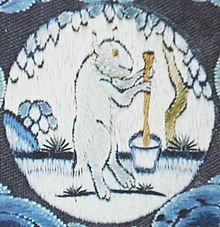 This close similarity of hare-on the moon-pounding rice-cake between Thailand, Japan and Korea suggests the route by which the hare-fertility beliefs arrived, i.e. via Southeast Asia. Archaeological evidence also suggests that Xiwangmu and black crow and hare funerary motifs as a package, arrived in Kofun period Japan from Han dynasty China, although in later times, the Chinese Chang-e moon goddess seems to have replaced Xiwangmu as iconic companion to the hare, in Japan as it had in China…perhaps because the former lacked the latter’s funerary associations. The emergence of the hare in Western Chinese tombs with Xiwangmu (Western Queen Mother) suggests the funerary motif arrived from the west…possibly from the Greco-Roman World … where carvings of rabbits eating grapes and figs appear on both Greek and Roman tombs symbolizing the transformative cycle of life, death, and rebirth (Terri Windling). In the Buddhist Śaśajâtaka (Jataka Tale 316), a monkey, an otter, a jackal, and a rabbit resolved to practice charity on the day of the full moon (Uposatha), believing a demonstration of great virtue would earn a great reward. When an old man begged for food, the monkey gathered fruits from the trees and the otter collected fish, while the jackal wrongfully pilfered a lizard and a pot of milk-curd. The rabbit, who knew only how to gather grass, instead offered its own body, throwing itself into a fire the man had built. The rabbit, however, was not burnt. The old man revealed himself to be Śakra and, touched by the rabbit’s virtue, drew the likeness of the rabbit on the moon for all to see. It is said the lunar image is still draped in the smoke that rose when the rabbit cast itself into the fire. 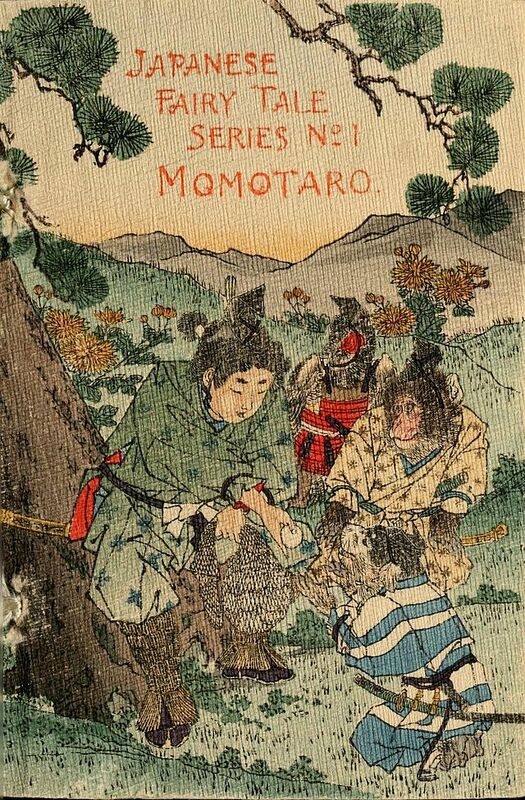 A version of this story can be found in the Japanese anthology Konjaku Monogatarishū, where the rabbit’s companions are a fox and a monkey. 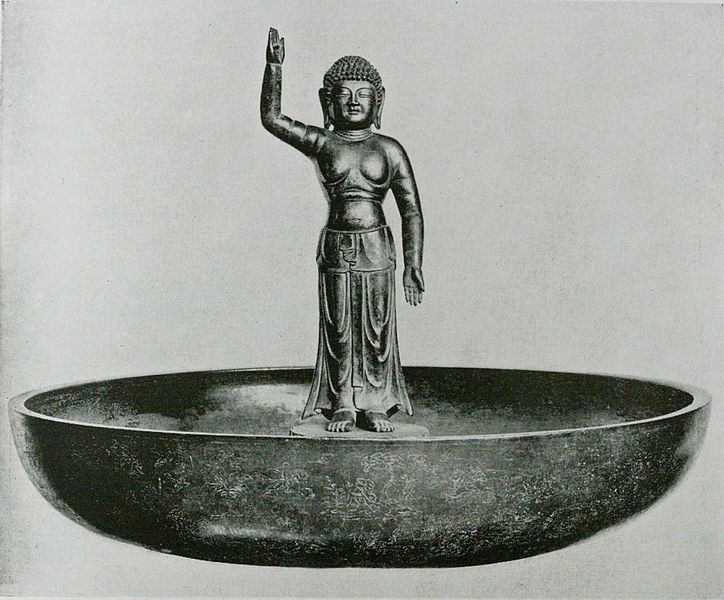 In other Buddhist lore, the Monju Bosatsu (Manjusri) is the patron deity of the rabbit. Another Mesoamerican legend tells of the brave and noble sacrifice of Nanahuatzin during the creation of the fifth sun. Humble Nanahuatzin sacrificed himself in fire to become the new sun, but the wealthy god Tecciztecatl hesitated four times before he finally set himself alight to become the moon. Due to Tecciztecatl’s cowardice, the gods felt that the moon should not be as bright as the sun, so one of the gods threw a rabbit at his face to diminish his light. It is also said that Tecciztecatl was in the form of a rabbit when he sacrificed himself to become the moon, casting his shadow there. A Native American (Cree) legend tells a different variation, about a young rabbit who wished to ride the moon. Only the crane was willing to take him. The trip stretched Crane’s legs as the heavy rabbit held them tightly, leaving them elongated as crane’s legs are now. When they reached the moon Rabbit touched Crane’s head with a bleeding paw, leaving the red mark cranes wear to this day. According to the legend, Rabbit still rides the moon to this day. IV. THE HARE IN THE MOON. When the moon is waxing, from about the eighth day to the full, it requires no very vivid imagination to descry on the westward side of the lunar disk a large patch very strikingly resembling a rabbit or hare. The oriental noticing this figure, his poetical fancy developed the myth-making faculty, which in process of time elaborated the legend of the hare in the moon, which has left its marks in every quarter of the globe. In Asia it is indigenous, and is an article of religious belief. “To the common people in India the spots look like a hare, i.e. Chandras, the god of the moon, carries a hare (sasa), hence the moon is called Sasin or Sasanka, hare mark or spot.” 75 “Max Müller also writes, “As a curious coincidence it may be mentioned that in Sanskrit the moon is called Sasānka, i.e. ‘having the marks of a hare,’ the black marks in the moon being taken for the likeness of the hare.” 76 This allusion to the sacred language of the Hindus affords a convenient opportunity of introducing one of the most beautiful legends of the East. It is a Buddhist tract; but in the lesson which it embodies it will compare very favourably with many a tract more ostensibly Christian. “In former days, a hare, a monkey, a coot, and a fox, became hermits, and lived in a wilderness together, after having sworn not to kill any living thing. The god Sakkria having seen this through his divine p. 61 power, thought to try their faith, and accordingly took upon him the form of a brahmin, and appearing before the monkey begged of him alms, who immediately brought to him a bunch of mangoes, and presented it to him. The pretended brahmin, having left the monkey, went to the coot and made the same request, who presented him a row of fish which he had just found on the bank of a river, evidently forgotten by a fisherman. The brahmin then went to the fox, who immediately went in search of food, and soon returned with a pot of milk and a dried liguan, which he had found in a plain, where apparently they had been left by a herdsman. The brahmin at last went to the hare and begged alms of him. The hare said, ‘Friend, I eat nothing but grass, which I think is of no use to you.’ Then the pretended brahmin replied, ‘Why, friend, if you are a true hermit, you can give me your own flesh in hope of future happiness.’ The hare directly consented to it, and said to the supposed brahmin, ‘I have granted your request, and you may do whatever you please with me.’ The brahmin then replied, ‘Since you are willing to grant my request, I will kindle a fire at the foot of the rock, from which you may jump into the fire, which will save me the trouble of killing you and dressing your flesh.’ The hare readily agreed to it, and jumped from the top of the rock into the fire which the supposed brahmin had kindled; but before he reached the fire, it was extinguished; and the brahmin appearing in his natural shape of the god Sakkria, took p. 62 the hare in his arms and immediately drew its figure in the moon, in order that every living thing of every part of the world might see it.” 77 All will acknowledge that this is a very beautiful allegory. How many in England, as well as in Ceylon, are described by the monkey, the coot, and the fox–willing to bring their God any oblation which costs them nothing; but how few are like the hare–ready to present themselves as a living sacrifice, to be consumed as a burnt offering in the Divine service! Those, however, who lose their lives in such self-sacrifice, shall find them, and be caught up to “shine as the brightness of the firmament and as the stars for ever and ever. Even Europe is somewhat hare-brained: for Cæsar tells us that the Britons did not regard it lawful to eat the hare, though he does not say why; and in Swabia still, children are forbidden to make shadows on the wall to represent the sacred hare of the moon. p. 67 We have now seen that the fancy of a hare in the moon is universal; but not so much importance is to be attached to this, as to some other aspects of moon mythology. The hare-like patch is visible in every land, and suggested the animal to all observers. That the rabbit’s period of gestation is thirty days is a singular coincidence; but that is all–nay, it is not even that, for “the moon’s revolution round the earth,” which Douce supposed the Chinese myth to typify, is accomplished in a little more than twenty-seven days. Neither is much weight due to the fanciful comparison of Gubernatis: “The moon is the watcher of the sky, that is to say, she sleeps with her eyes open; so also does the hare, whence the somnus leporinus became a proverb.” 89 The same author says on another page, and here we follow him: “The mythical hare is undoubtedly the moon. In the first story of the third book of the Pancatantram, the hares dwell upon the shore of the lake Candrasaras, or lake of the moon, and their king has for his palace the lunar disk.” 90 It is this story, which Mr. Baring-Gould relates in outline; and which we are compelled still further to condense. In a certain forest there once lived a herd of elephants. Long drought having dried up the lakes and swamps, an exploring party was sent out in search of a fresh supply of water. 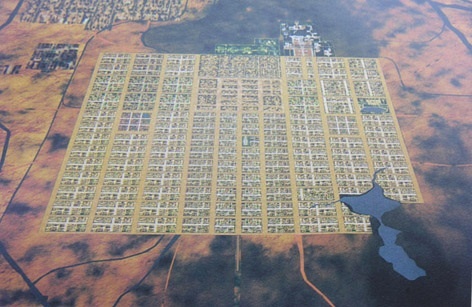 An extensive lake was discovered, called the moon lake. The elephants with their king eagerly marched to the spot, and found their thirsty hopes fully realized. All round the lake were in p. 68 numerable hare warrens, which the tread of the mighty monsters crushed unmercifully, maiming and mangling the helpless inhabitants. When the elephants had withdrawn, the poor hares met together in terrible plight, to consult upon the course which they should take when their enemies returned. One wise hare undertook the task of driving the ponderous herd away. This he did by going alone to the elephant king, and representing himself as the hare which lived in the moon. He stated that he was deputed by his excellency the moon to say that if the elephants came any more to the lake, the beams of night would be withheld, and their bodies would be burned up with perpetual sunshine. The king of the elephants thinking that “the better part of valour is discretion,” decided to offer an apology for his offence. He was conducted to the lake, where the moon was reflected in the water, apparently meditating his revenge. The elephant thrust his proboscis into the lake, which disturbed the reflection. Whereupon the elephant, judging the moon to be enraged, hurried with his apology, and then went off vowing never to return. The wise hare had proven that “wisdom is better than strength”; and the hares suffered no more molestation. “We may also remark, in this event, the truth of that saying of Euripides, ‘that one wise counsel is better than the strength of many'” (Polybius, i. 35). From the Great Western we turn to the Great[paragraph continues] p. 70 Eastern world, and in China find the frog in the moon. “The famous astronomer Chang Hêng was avowedly a disciple of Indian teachers. The statement given by Chang Hêng is to the effect that ‘How I, the fabled inventor of arrows in the days of Yao and Shun, *70 obtained the drug of immortality from Si Wang Mu (the fairy ‘Royal Mother’ of the West); and Chang Ngo (his wife) having stolen it, fled to the moon, and became the frog–Chang-chu–which is seen there.’ The lady Chang-ngo is still pointed out among the shadows in the surface of the Moon.” 93 Dr. Wells Williams also tells us that in China “the sun is symbolized by the figure of a raven in a circle, and the moon by a rabbit on his hind legs pounding rice in a mortar, or by a three-legged toad. The last refers to the legend of an ancient beauty, Chang-ngo, who drank the liquor of immortality, and straightway ascended to the moon, where she was transformed into a toad, still to be traced in its face. It is a special object of worship in autumn, and moon cakes dedicated to it are sold at this season.” 94 We have little doubt that what the Chinese look for they see. We in the West characterize and colour objects which we behold, as we see them through the painted windows of our predisposition or prejudice. As a great novelist writes: “From the same object different *70 Mr. Herbert A. Giles says that How I was a legendary chieftain, who “flourished about 2,500 B.C.” Strange Stories from a Chinese Studio, London, 1880, i. 19, note. p. 71 conclusions are drawn; the most common externals of nature, the wind and the wave, the stars and the heavens, the very earth on which we tread, never excite in different bosoms the same ideas; and it is from our own hearts, and not from an outward source, that we draw the hues which colour the web of our existence. It is true, answered Clarence. You remember that in two specks of the moon the enamoured maiden perceived two unfortunate lovers, while the ambitious curate conjectured that they were the spires of a cathedral.” 95 Besides, it must be confessed that the particular moon-patch that has awakened so much interest in every age and nation is quite as much like a frog or toad as it is like a rabbit or hare. ““Since Bede the Venerable (De ratione temporum 1:5) the origin of the term for the feast of Christ’s Resurrection has been popularly considered to be from the Anglo-Saxon Eastre, a goddess of spring…the Old High German plural for dawn, eostarun; whence has come the German Ostern, and our English Easter” (The New Catholic Encyclopedia, 1967, Vol. 5, p. 6). “The fact that vernal festivals were general among pagan peoples no doubt had much to do with the form assumed by the Eastern festival in the Christian churches. The English term Easter is of pagan origin” (Albert Henry Newman, D.D., LL.D., A Manual of Church History, p. 299). “On this greatest of Christian festivals, several survivals occur of ancient heathen ceremonies. To begin with, the name itself is not Christian but pagan. Ostara was the Anglo-Saxon Goddess of Spring” (Ethel L. Urlin, Festival, Holy Days, and Saints Days, p. 73). “Easter—the name Easter comes to us from Ostera or Eostre, the Anglo-Saxon goddess of spring, for whom a spring festival was held annually, as it is from this pagan festival that some of our Easter customs have come” (Hazeltine, p. 53). “The story of Easter is not simply a Christian story. Not only is the very name ‘Easter’ the name of an ancient and non-Christian deity; the season itself has also, from time immemorial, been the occasion of rites and observances having to do with the mystery of death and resurrection among peoples differing widely in race and religion.” – Easter: its Story and Meaning, by Alan W. Watts, 1950. But how did we come to call this holiday such? It’s not so hard to determine the origin of the name of Christmas—it’s after all a short jump to “Christ’s mass” or the church service attached to the day of Jesus’ birth. And then there’s that crazy-looking bunny, and why there are all those decorated eggs. What do any of these things have to do with the miracle of the Resurrection? Directly, not a lot. Still, echoes of earlier traditions mirror the ones that largely replaced them, and while the details may change, the basic story and rhythms of the seasons of life do not. Where does the name “Easter” come from? 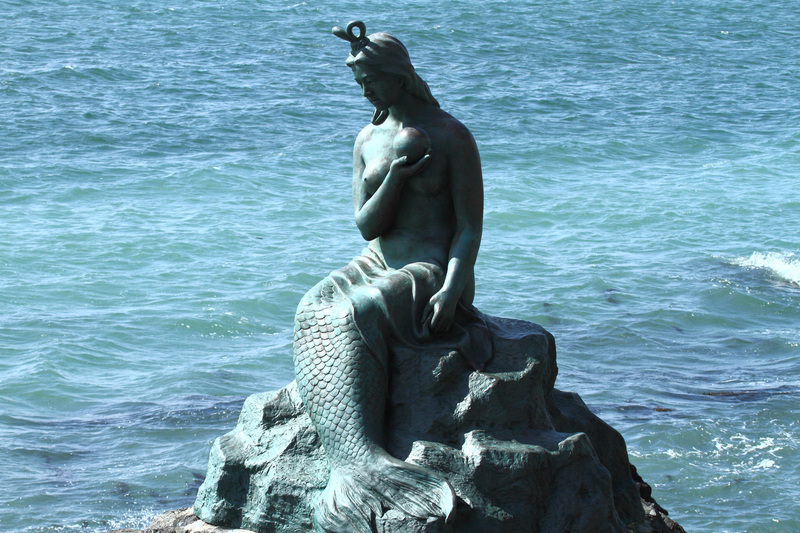 It might be a surprise to find that the name of Christianity’s most sacred holy day most likely takes its roots directly from the name(s) of a pagan goddess and predates the death and resurrection of Christ. In Europe, the feast of the dawn goddess Eostre (also Eastre, Ostara, and a variety of other spellings, depending upon location), was typically celebrated on the first full moon after the spring equinox. Thus, what we now call “April” was once called “Eosturmonath” or “Eostre-month” on the Germanic calendar, in about the 8th century, the Venerable Bede tells us. This was not always the case—this date was first formalized at the Council of Nicea in 325. Before that, the date of the celebration of the Resurrection was a rather big question. It was decided too, here, that Easter should always fall on a Sunday. This was still the very early days of Christianity, and other, older, religions were still flourishing. Church officials were not unaware of this, and co-opting an existing pagan holiday served the purpose of sowing the seeds of a new religion on existing faith. In the east, the festival of Ishtar (correctly pronounced ‘Easter’) and the resurrection of Tammuz also took place shortly after the equinox. Still, they might have been on to something, even if it wasn’t exactly new. The holiday they picked had many of the same connotations attached. The mystery of death and resurrection is remarkably similar in many places and times, and the time of year when it is recognized is practically universal across the northern hemisphere. Whether Tammuz/Ishtar, Attis/Cybele, or Adonis/Aphrodite or another of a multitude of names depicting the same archetype, worshipers began to fast shortly before the spring equinox and abstain from meat for 40 days. Some would cut down a tree or limb, which would be brought to the temple, or in some cases, the figure brought to a sacred tree, and upon its central trunk would be hung the figure of the young god. In the case of Tammuz, the ‘tree’ was more of a built ‘T’, incidentally the true shape of ‘crosses’ used for crucifixions during Roman times. During the last days of the fast, the faithful gathered to sing hymns of mourning, and when it was finally over, the figure was taken down and buried at dusk, and the mourning continued well into the night. “The sorrow of the worshipers was turned to joy … The tomb was opened: the god had risen from the dead; and as the priest touched the lips of the weeping mourners with balm, he softly whispered in their ears the glad tidings of salvation. The resurrection of the god was hailed by his disciples as a promise that they too would issue triumphant from the corruption of the grave. On the morrow … the divine resurrection was celebrated with a wild outburst of glee. At Rome, and probably elsewhere, the celebration took the form of a carnival…” – Source: The Golden Bough, Sir James Frazer, 1922. So what about the eggs and that crazy bunny? We forget today, when we can go to the supermarket any time and pick up a dozen, that eggs once were a seasonal commodity. In nature, birds don’t lay eggs year ’round. Their egg-laying cycles are regulated by amount of daylight, and when days grow short, so do fresh eggs. If you check out old books on putting food by, you’ll find a number of ways people kept eggs over the winter before refrigeration. Surprisingly good as these methods were, it would have been hard to keep the supply going all winter, and even if you did, a fresh egg would have been quite welcome. When does laying season begin? You guessed it. But there’s no Easter chicken—so do the bunnies lay the eggs? Well, actually, according to myth, at least one does. And it’s a hare, not a rabbit. In Europe, the hare is a nocturnal creature—until mating season, that is. Then, there are bunnies all over the place all day, in a frenzy of fertility. The totem of Eostre is a hare—and according to the story, the goddess can turn into a hare at will. In one legend, the goddess comes upon an injured bird, who she saves by turning into a hare, it being the animal she is strongest as. Yet, having been a bird, this hare could still lay eggs, and in gratitude to the goddess, the bird laid colored eggs on her feast day ever since. Turning back to the Babylonians, Ishtar was supposed to have come to earth from the heavens in a golden egg, while Tammuz is associated with a hare. The hare is associated with the moon—people saw a hare there long before they saw a man. And a golden egg in the sky that brings forth Mother Nature? Surely the sun. The two together indicate a balance between the sun and moon, appropriate for a holiday that is centered around the vernal equinox, a time of equal day and night, and also to indicate the fertility of the season. If all that isn’t enough, there’s always the German Osterhase, literally, the “Easter Hare” in English, brought to America with the German settlers in the 1700s. In a variation of the above legend, Eostre changed her pet bird into a hare that could lay colored eggs to amuse children, of who she is particularly fond. Given the influence of German origins in the local area, and the time at which Easton was settled, while there’s no proof, it’s entirely possibly that in addition to having the first Christmas Tree, Easton and Pennsylvania may have been home to some of the earliest American versions of the Easter Bunny, or the Osterhase, as well. Christos annesti! Have a happy Easter. About this column: Christina Georgiou is a self-described political non-Euclidian and firm believer in fair democratic process. Registered as an independent voter for nearly a decade, she faithfully votes in nearly every election, even the primaries where there are local referendum issues on the ballot. A student of history, she suspects the founding fathers are rolling in their graves over the state of this country’s corrupt two-party system, the dangers of which George Washington specifically warned about more than 200 years ago.